The Facebook advertising landscape is constantly changing, with "silver bullets" coming and going, leaving most advertisers stymied on how to get high quality traffic and leads for a lower cost. This training will illustrate how Facebook ads driving traffic to blog posts can be one of the most effective ways to get the highest ROI on your Facebook ads - if done right. 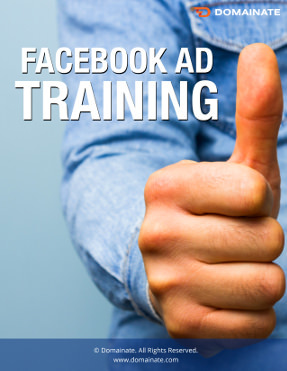 This training assumes you have the basic understanding of setting up Facebook ads. If you see a post is performing well, how long is it okay to keep it running? What do you do if the relevancy score for a blog post is low? Can you give an example of how you’d handle retargeting and when? What is a good CPC to shoot for? How much is a good initial budget to test with? Let’s say that the ad is performing well. I started off with promoting to my Facebook fans. We’re now a month forward. Should I still target fans or should I drop them? Is it smart to put all of your known precise interests in one adset or should you separate them into their own groups? What performs better in your experience, short copy or long copy? When you have a campaign that performs well, what process do you take to scale them? I've noticed when I increase my budget, the Cost per Lead seems to go up as well. For some reason, smaller budgets seem to perform better for me. When creating a campaign with lots ad sets of the same ad, is it more beneficial to create duplicates of the ad or to promote the same ad ID as a dark post? I realize duplicating the ad removes the likes, comments, and shares—but I wonder if the relevancy score is effected when we try to use the same ad ID across ad sets. Do you recommend using Facebook's CTA buttons on your ads? I notice that I generally get better performance of my ads whenever they don't look like an actual advertisement, but I wonder if it's smart to use CTA buttons like "Learn More" or "Sign Up". If you do use CTA buttons, which ones do you find perform better? When changes are made to the copy of an ad, is it best to make them one tweak at a time to get valuable feedback across the board? And should each change be a major one in order for the feedback to carry any real impact? Now with the change in the 20% rule, I've heard from people that ads are actually performing better without text on the images. Do you have any feedback on that? This course is a recorded training with 125 minutes of training content followed by 45 minutes of questions that were posed and answered for a total of 2 hours and 50 minutes. You get lifetime access to this training once purchased. Steve Jones is an online marketing strategist specializing in branding, domain names, funnel development, and Facebook advertising. He currently serves as COO of Domainate Incorporated. Steve's expertise in branding and domain names spans back to 2004 and he has personally helped thousands of businesses and entrepreneurs secure better domains and brand names for their business. 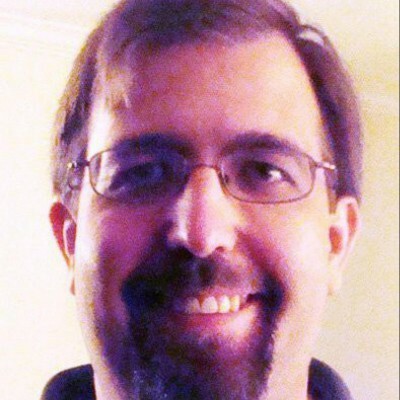 He has also authored over 140 articles on domain names and branding and has been published twice by Business Insider. Steve has also served as an expert witness in court cases involving domain names. Steve has worked on both the strategy and implementation of hundreds of successful marketing funnels, membership sites, and Facebook advertising campaigns. This includes working with clients to audit and improve their existing funnels and ad campaigns, helping them turn disastrous campaigns into highly profitable ones. Understanding that continuing education is crucial, Steve has completed ConversionXL's CRO specialist certification, Ryan Levesque's Ask training and many others.